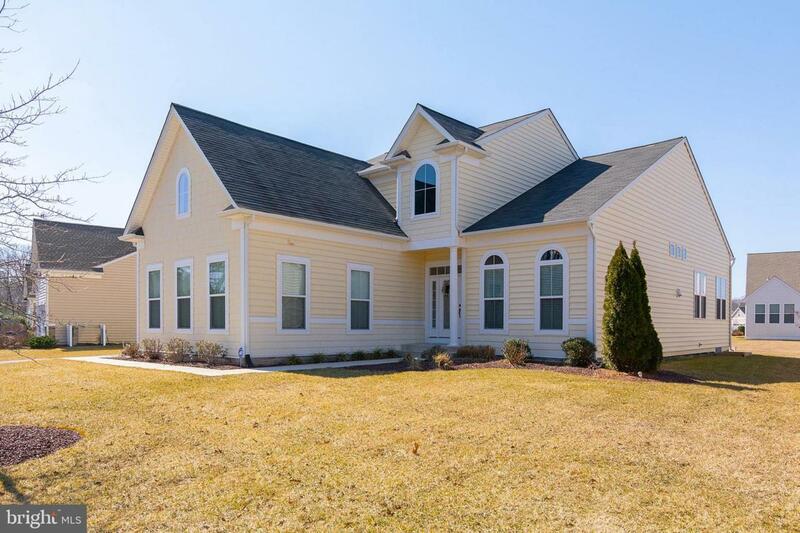 Gorgeous 2-story, 2,519 sq. 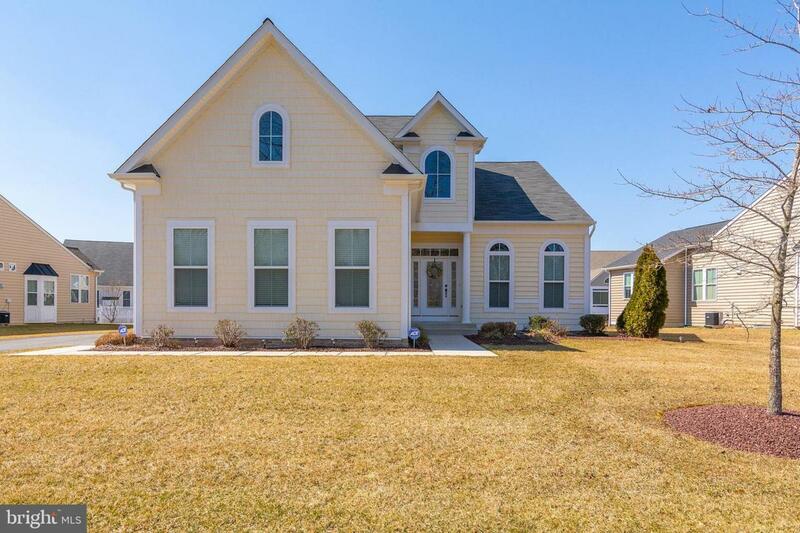 ft. home has 4 bedrooms and 3 full baths. And it's located just 5 houses away from the community center, outdoor pool, and the canoe/kayak launch area. Beautiful Red Mill Pond is ideal for bald eagle watching, great fishing, and, of course, kayaking and canoeing! You're also less than 6.5 miles from the community entrance to the Lewes public beach, with the Cape Henlopen State Park beaches not much farther away. And when you crave some boardwalk fries, Rehoboth Beach is just 10 miles south of The Villages at Red Mill Pond North. This open concept floor plan has soaring cathedral ceilings in the great room with hardwood floors accenting the entire space. You'll also enjoy a gas fireplace, recessed lights, and oversized windows with transom-style window features for an abundance of natural light. The kitchen has a 3-sided breakfast bar in sleek, black granite, and is complimented by 42" cider maple cabinets. Stainless steel appliances include a double-door fridge, dishwasher, 2 wall ovens (1 is a convection oven), and a gas cooktop with a built-in microwave overhead. The dining area adjoins the kitchen and living room. 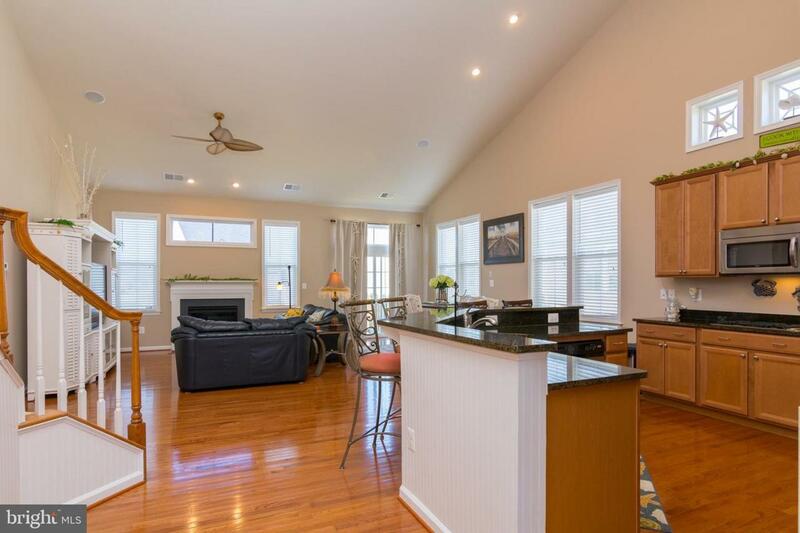 There is also a den/study (or formal dining room) with a tray ceiling, columns & arched-window accents on the 1st floor. 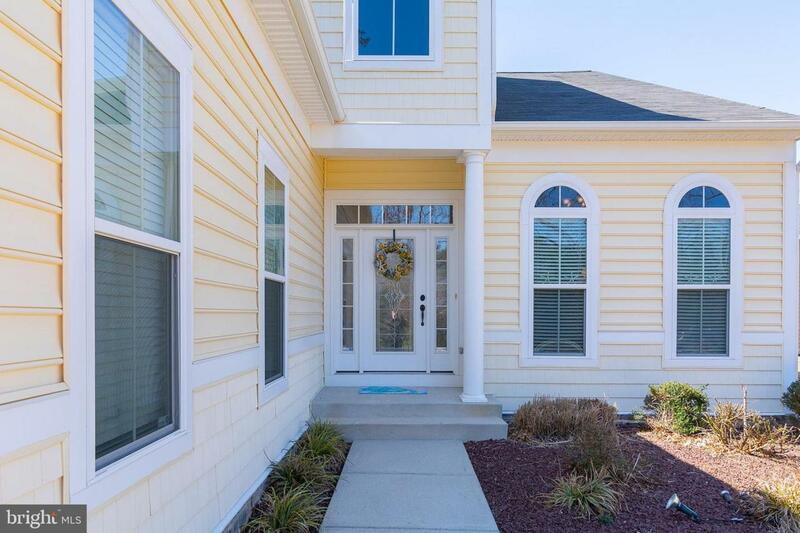 There are 2 bedrooms on the main floor: the master suite and a "junior master" bedroom with a privacy door connecting it to the 2nd full bath in the hall. The master suite is elegantly oversized with a tray ceiling. It has a walk-in closet & a double closet. The master bath has a tiled shower with glass surround & soaking tub, plus 2 separate sink vanities & a water closet for the commode. There are 2 more bedrooms & the 3rd full bath on the 2nd floor. Big laundry room. There's a walk-in attic, too. 2-car garage with plenty of extra driveway parking for your friends & family. Room to build a deck out back. Lawn irrigation system with an agricultural well to help keep your water bills lower. Property taxes only $1,656/year. HOA dues are $447/quarter & include lawn maintenance. Association Name Red Mill Pond Maintenance Corp.